With an annual operations and capital budget of more than $500 million, NTMWD provides drinking water treatment and delivery, wastewater collection and treatment and solid waste services for a population of 1.7 million people in one of the fastest-growing regions in the country. NTMWD operates one of the nation’s largest advanced water treatment plants at Wylie, TX, with a capacity of 770 million gallons per day. NTMWD’s service area covers 2,200 square miles in 10 counties and serves about 80 communities with drinking water, over 1 million with wastewater collection and treatment, and approximately 800,000 for solid waste collection and transfer to a regional disposal site. 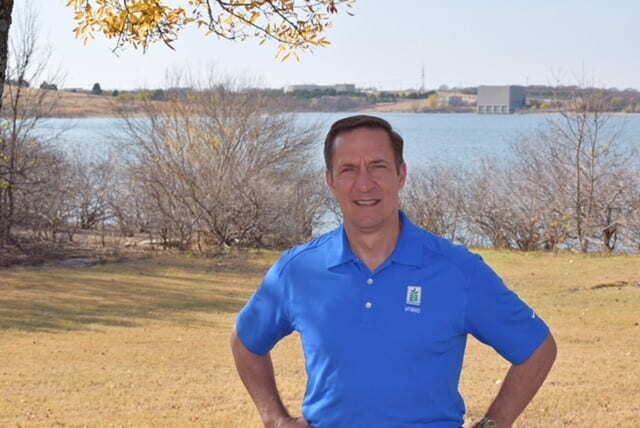 Tom Kula has served as the Executive Director and General Manager of the North Texas Municipal Water District since May 1, 2014. He is responsible for leading all aspects of the NTMWD’s operations, management, planning and services. NTMWD is a regional water provider representing 13 cities that appoint some 25 members to your Board of Directors. How do you keep 13 cities working together toward a common goal? Map of NTMWD Member Cities. 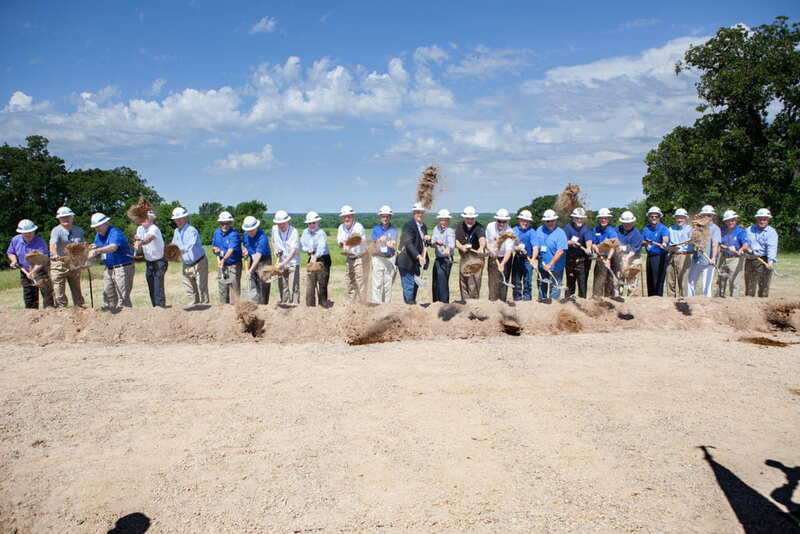 Since the beginning, the vision of the North Texas Municipal Water District (NTMWD) has been “Regional Service Through Unity… Meeting Our Region’s Needs Today and Tomorrow.” Our success over the last 60+ years has been because our Board and Cities have never lost sight of the benefits of regionalism. The 10 original Member Cities understood that they could accomplish more together than individually. That concept has allowed our cities across North Texas to thrive and become some of the most popular places to live in the nation. Over time, three additional Member Cities joined the District and each city over a population of 5,000 can appoint two Directors to serve on the NTMWD Board. We have 25 Directors. Some of our Directors have been serving the District for several years and that historical perspective and deep knowledge of our complex systems and operations is a tremendous benefit. Our Directors are dedicated, smart and commit a significant number of hours to analyze and understand the services and projects that are vital to support our fast-growing region. Constant, open communication with our cities’ leadership and staff is key to our success. This is something I have made a priority since coming to work as the NTMWD Executive Director just over 4 years ago. There are many challenges. 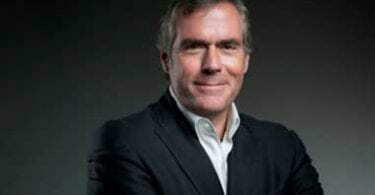 Our cities have different needs, growth, operations and resources. But, it’s a true partnership that’s vitally important to deliver essential services 24/7/365 to the communities we serve. Today, NTMWD serves 1.7 million people in about 80 communities in 10 counties, and your region is expected to double in size by 2050. What do you see as the biggest challenge to meeting the expected demands of 2050? The significant growth happening in our area requires investments in infrastructure. The investments are not only to meet growing and future needs but also to ensure existing infrastructure is working reliably and efficiently. We have some plants and pipelines that are 60 years old, and we’re making critical upgrades at a time when we also must build new projects to provide the water supplies, treatment and delivery capacity needed over the next few decades. These investments are putting pressure on our water costs – something that is happening across the nation – and that is increasing water rates for our cities who are also making similar investments on their systems. NTMWD is focused on managing and deferring costs as much as possible while also helping our communities understand the true value of water and how important these infrastructure investments are to support public health, economic prosperity and quality of life. Our region’s conservation efforts over the last several years has already helped defer over $1 billion in project costs. While conservation will continue to make up nearly one-third of future supplies, we must invest in new sources to meet our long-term demands. Recently, Lower Bois D’arc became the first major reservoir to be approved in Texas for decades. Why do you think NTMWD succeeded in getting a new reservoir approved when so many other water providers failed over the last few decades? 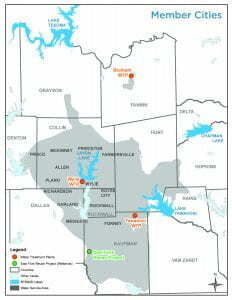 A number of factors have contributed to the successful permitting of our new reservoir in Fannin County. First, we were able to demonstrate responsible use of existing supplies through our cities’ conservation efforts as well as the need for additional sources to meet their growing needs. Without a new reservoir, the District could run short of supplies by as early as 2021. The District has been persistent and worked hard to pursue win-win solutions to keep the project moving forward. Most importantly, we worked collaboratively with federal, state and local agencies to obtain the required federal and state water rights permits as well as agreements to secure local support. Do you think that the Lower Bios D’arc project represents a new round of reservoir construction statewide? The state has gone a long time relying on the reservoirs in place today while the population has increased. 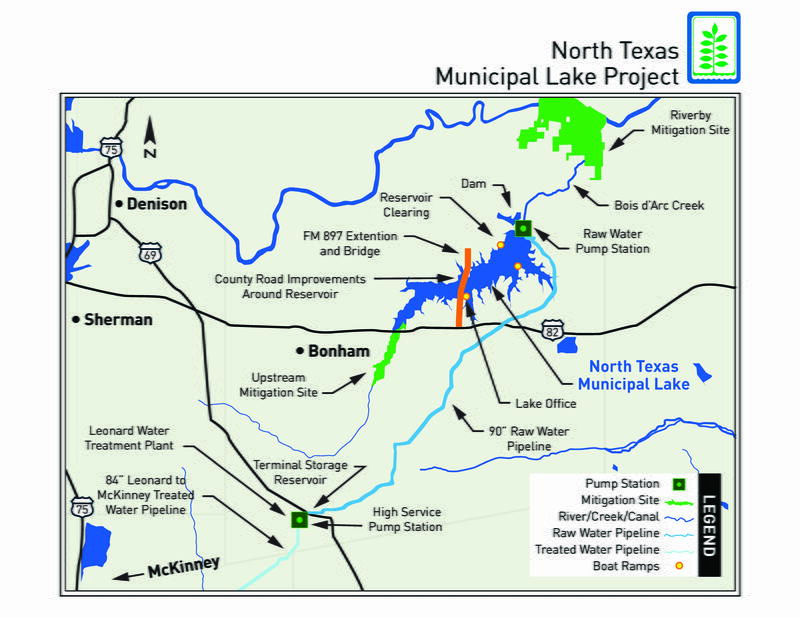 Our reservoir isn’t the only one in the works because all major water providers and the state recognize that we can no longer rely solely on existing supplies with the growth projected across Texas in the coming decades. 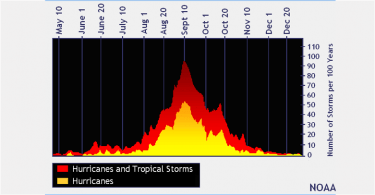 However, federal permitting and funding present significant hurdles to overcome. The development of sufficient water supplies is critical for sustaining communities in Texas, now and in the future. Currently, this vital need for water is not fully recognized at the federal level and efforts must be undertaken to address this failure and fully invest in the future through development of and access to safe drinking water for the health, safety, and general welfare of the public. NTMWD is discussing with federal and state agencies our recommendations for ensuring water supplies are available to Texas communities in the future by optimizing existing supplies, increasing funding for these supplies, and improving and streamlining the federal permitting process. To be viable, proposed water supply projects require more certainty and predictability in the federal permitting process. NTMWD recommends introducing legislation and revising current policies and regulations to ensure these measures are implemented and effective. NTMWD’s 1,840-acre East Fork Water Reuse Project and the 1,200-acre Bunker Sands Mitigation Bank and Wetland Center are a model for water management and conservation. Isn’t this project a model that should be replicated elsewhere in Texas? It should definitely serve as a model where conditions support it. 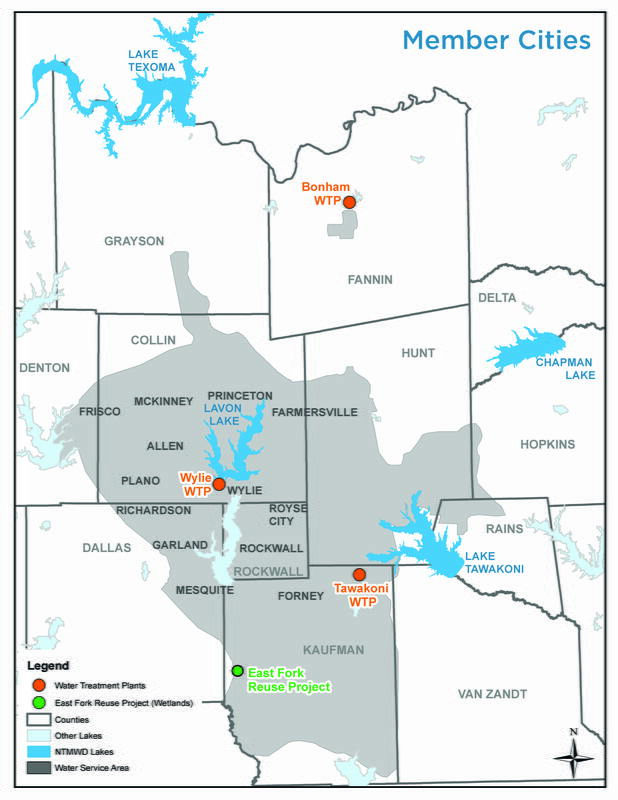 While the NTMWD East Fork Water Reuse project and constructed wetlands has worked well for our system due to its location near the Trinity River and relative proximity to our water sources, this type of project may not be cost-effective or even feasible in other areas. We are fortunate to be in a good position to be one of the leaders in water reuse in our state. In fact, our wetlands reuse supply project was recently honored with the Conservation Wrangler award from Texan by Nature. We are also very proud of our public-private partnership with the John Bunker Sands education center, which provides education and research opportunities related to the water cycle, water conservation, wetland systems, and wildlife management. It is open to the public and offers walks, nature events, and tours (www.wetlandcenter.com).